Scott Murphy, GRI and CIAS (Certified Investor Agent Specialist) has held his California real estate license since 2004, but feels like he has been immersed in real estate all his life with a father who was a mortgage banker and a real estate broker for a mom. Real estate sales, though, are only one segment of Scott’s talents. He grew up in Big Bear Lake, where he was an avid and very competitive ski racer who later competed in junior golf where he fell in love with San Diego and its year round tee times. He has played nearly every golf course in San Diego and has settled in La Costa, which offers several courses within a few-mile radius. Competition is a driving force in Scott ’s life, and these days he works hard to make sure any listings taken by San Diego Previews Real Estate end up in a position to sell as quickly as possible and for top dollar. 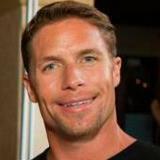 Scott attended Cal State Monterey Bay where he majored in film editing, but when passions turned to real estate he made an effort to take every real estate class offered at local San Diego colleges. He keeps a keen eye on market conditions and investors appreciate his untiring due diligence and search for investment properties in the San Diego area. Whether you are seeking a Carlsbad golf condo, a choice investment property or a home in an excellent school district, Scott is the choice Realtor for many satisfied clients. He can be reached at either 760-613-6190 or 877-818-8197.